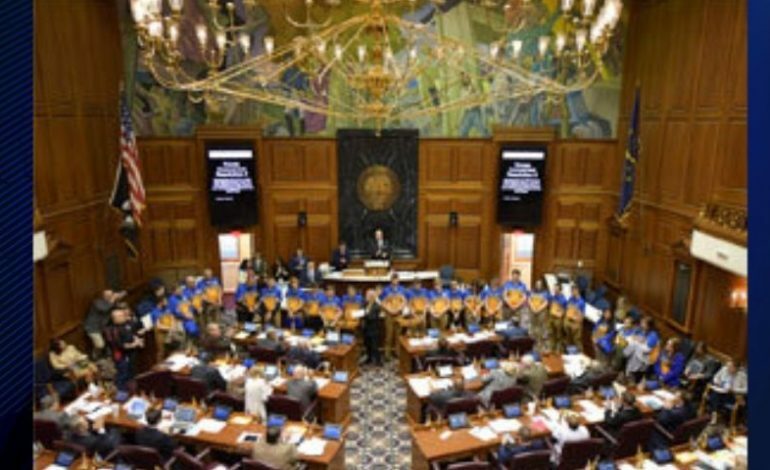 The Castle High School Knights archery team was honored by the Indiana House of Representatives and Senate Monday for their accomplishments. The Knights are winners of the 2018 National Archery in the Schools. The team remained undefeated in 12 regular-season matches and then won the bullseye division at the state NASP championship. 24 of the Castle archers each won a $1,000 scholarship as a result of their win at the Eastern National Tournament. The Knights carried their win at NASP Nationals to the 2018 NASP World Tournament, winning the title of world champion.